We had waited an additional day before traveling due to a Small Craft Advisory yesterday, but there was another issued today. We decided to go anyway and that was a good decision. Waves were 1-2 at the beginning, but by mid afternoon there was no breeze at all and the heat was stifling. The black flies were thick on the outside of the boat, but with our ability to close doors and use window screens, we were fine. A radio announcement from the Coastguard warned of "live fire" activities by the military, but we didn't see any of that action. Again today, we had problems with navigation, but it was due to some settings on the auto pilot which were mistakenly changed yesterday as Ron corrected some other navigational issues. After another call to tech support at Furuno, we were good to go. We arrived in Harbor Haven Marina at 1500, about an hour before the rain started. 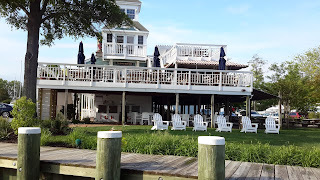 Tomorrow we are going to the marina at Chesapeake City, thanks to friend Kenny Beach. We had planned to go to Bohemia Harbor Yachting Center, but they were full. 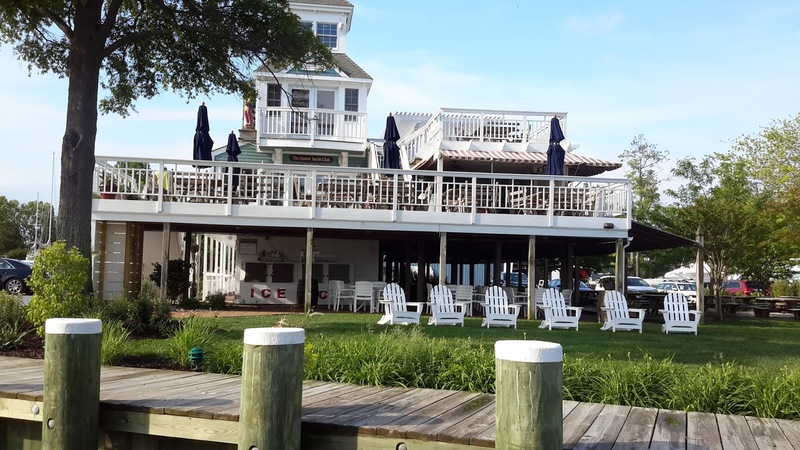 Chesapeake City does not normally take transients, but Kenny knows the harbor master and arranged for a slip. Another treat tomorrow night will be reconnecting with former PCHS student Ken Lutz and his wife and daughter. They are meeting us for dinner. We had a nice surprise visit from Alex Ertz and Andre. They were having dinner at the marina and saw our boat.